A rich, luxurious treat for the skin, with shea butter and vitamin E. Revitalise the appearance of skin and smooth wrinkles. 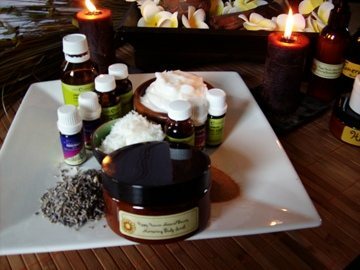 Perfect to make your own scented body butters, foot balms, dry skin balms, facial night creams and more! Create your own skincare using Hippy Heaven's Body Butter formulation with ingredients to revitalise and deeply moisturise the skin while cooling, soothing and smoothing wrinkles.Butter remains fresh to use one year from purchase. Packaged in an eco-friendly PET jar with caska seal and lid.